On Friday, the Federal Energy Regulatory Commission (FERC) released a final environmental impact statement (EIS) for the Rover Pipeline, the next step in the process of the federal review process. FERC concluded that construction and operation of the Rover Pipeline will create minimal environmental impacts, which will be effectively mitigated through the extensive planning and coordination enacted by the Rover team. “The Laborers International Union of Northa America (LiUNA) is incredibly excited to see FERC take this important next step in reviewing the Rover Pipeline. The project stands to create as many as 10,000 construction positions along the pipeline route, and many of these positions will be filled by hardworking members of LiUNA and other unions throughout the region. Among all these organizations, safety is the highest priority – ensuring the job will be done right, with minimal impacts to local communities,” said Geno Alessandrini, business manager of the Michigan Laborers’ District Council. Once in operation, the Rover Pipeline will distribute natural gas to markets in Ohio, Michigan, West Virginia, and Pennsylvania. Access to this important resource will carry lasting benefits for manufacturers, businesses, and other energy consumers throughout the region. With FERC having concluded its environmental impact statement, the agency now has asked other federal agencies to complete their comments before a certificate can be issued for the project. The Coalition for the Expansion of Pipeline Infrastructure is encouraged that the Rover pipeline has reached this next stage in the review process of the Rover Pipeline. The Coalition expects the final certificate for Rover to be issued in the fall of 2016, after which construction will commence. We look forward to continuing to educate the public on the importance of the responsible development of our region’s energy infrastructure. 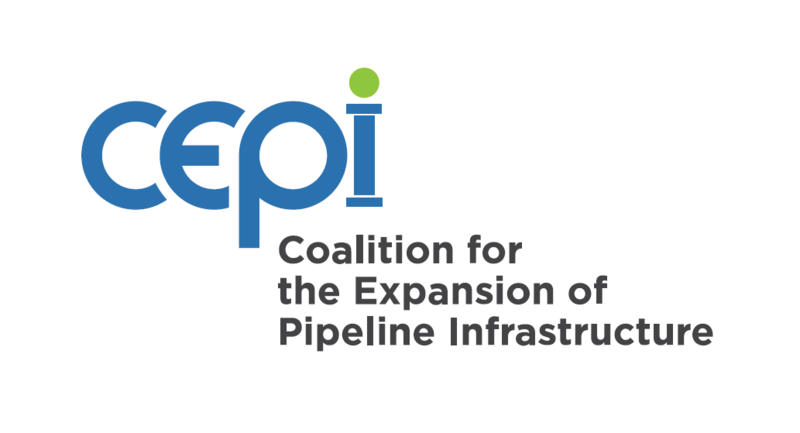 About CEPI: The Coalition for the Expansion of Pipeline Infrastructure (CEPI) is a partnership of entities from the agriculture, business, manufacturing, and labor sectors whose goal is to educate and advocate for expanding responsibly constructed, local-jobs creating pipeline infrastructure in Michigan, Ohio, and West Virginia. Together it represents more than 20,000 individuals, farmers, and businesses from across Ohio and Michigan. Members of the coalition include the Laborers District Council of Ohio, Land Improvement Contractors Association – Michigan, Michigan Chemistry Council, Michigan Forest Products Council, Michigan Infrastructure and Transportation Association, Michigan Laborers’ District Council, Michigan Laborers-Employers Cooperation and Education Trust (LECET), Michigan Oil and Gas Association, Michigan State Grange, Ohio Association of Convenience Stores, Ohio Chamber of Commerce, Ohio Chemistry Technology Council, Ohio Council of Retail Merchants, Ohio Grocers Association, Ohio Hotel & Lodging Association, Ohio Manufacturers Association, Ohio Oil and Gas Association, Ohio State Grange, Operating Engineers Local 18, Pipeliners Local 798, United Association and the West Virginia Manufacturers Association. Visit us online at https://www.expandpipelineinfrastructure.org.